Click image for larger version. 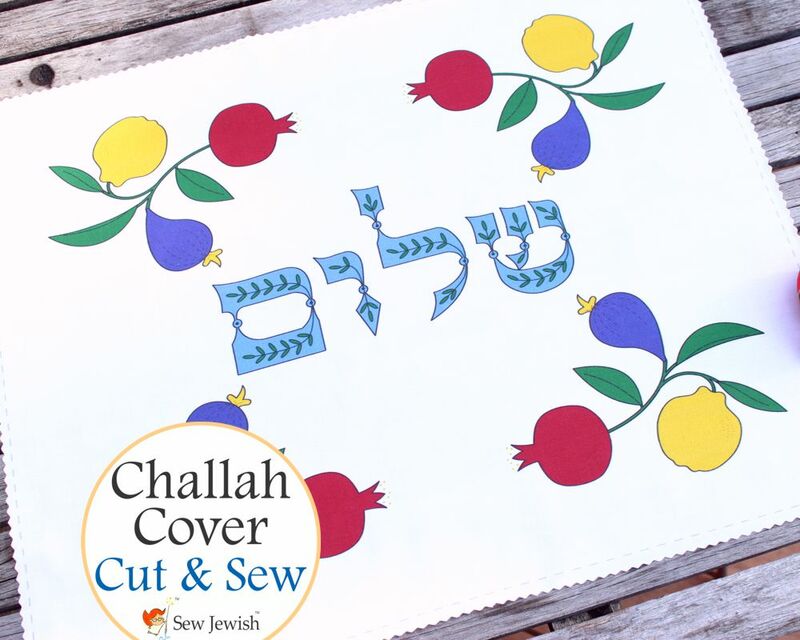 Sew your own challah cover in a snap using this pre-printed fabric panel. 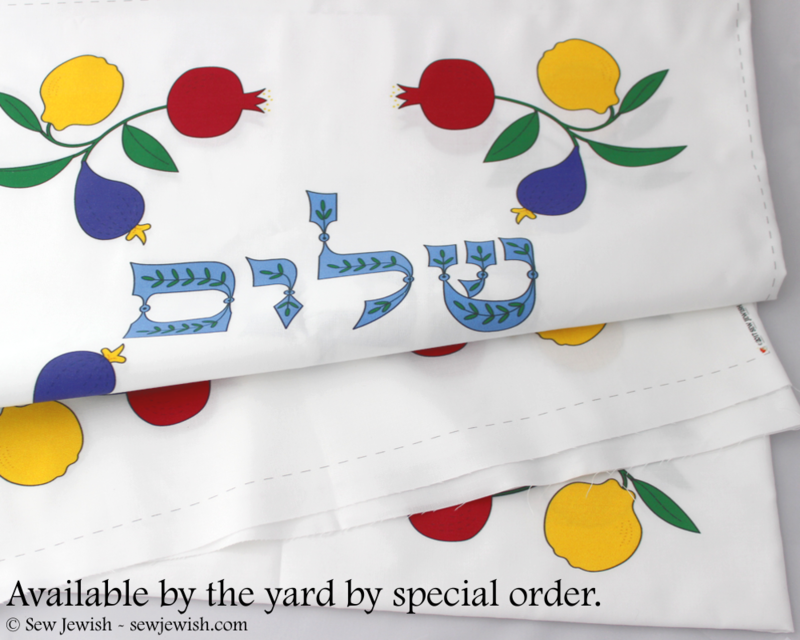 Design features the Hebrew word “Shalom,” as well as traditional fruit: pomegranates, figs, and quinces. Finish the edges using your preferred technique. On the blog you’ll find tips for two options: a narrow hem and adding a lining. The panel is available in a variety of fabrics. The photos here show the design printed on Kona cotton.